Festival season is in full swing! As such, it is imperative to complete your month end before you take the foot off the gas. Reading and Leeds, Creamfields and Bestival are some of the most hyped festivals of the year, all coming up within the two months. 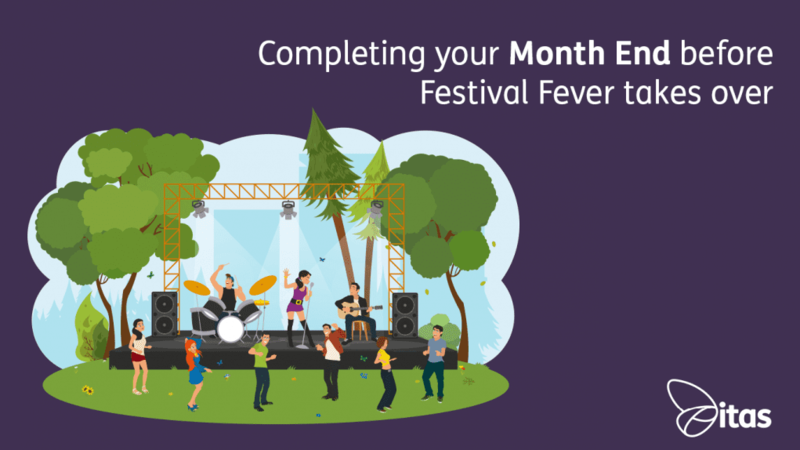 Therefore, making sure you take care of your work life before you have the time of your lives is key to making sure you have a stress free festival of fun. With major festivals such as the Isle of Wight and BBC’s big weekend been and gone, there’s still so much more to come! With Glastonbury taking a year off, we’ll take a quick look at the biggest and best coming to the UK, and what they have in store. However, do beware of clashes between festival dates. My first and only ‘big’ festival, and genuinely one the best weekends of my life. I went in 2015, with the likes of Bastille, Munford and Sons and Metallica headlining. However, with headliners including Post Malone, Kendrick Lamar and Kings of Leon in 2018, it’s set to be another immense year. It is only a 3 day festival, but with early access available, 4 days is also an option. The atmosphere is incredible, the food is questionable and the toilets are abominable, exactly what you expect from a festival! This is the clash I previously referred to. Creamfields and Reading and Leeds occur on the same weekend! So many options, so little time! I personally chose Leeds, but that’s nothing against Creamfields. They boast an amazing line up, consisting of some of the best DJ’s on the planet. From Alesso to Tiesto, Axwell & Ingrosso to Martin Garrix, there’s a plethora of talent to enjoy. With Reading and Leeds festival being geared towards rock and pop fans, Creamfields is definitely for the more techno and rave loving extroverts. 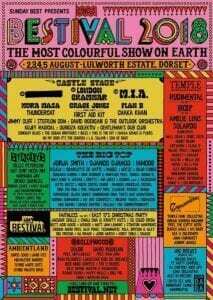 Bestival, self-proclaimed “the most colorful show on earth”, is back with a bang. With a mellower crowd attending this cultural powerhouse, it’s known more for its extravagant environment than its music. However, with bands such as Rudimental and London Grammar in attendance, it’s not just the views that amaze and astound. The best way to refer to this event would be that its the “family festival”, due to its accommodation for all ages. For all of these festivals previously mentioned though, please drink responsibly! This is where we now have to talk about the real purpose of this article. Taking care of month ends is crucial to making sure that you allocate figures correctly to each month. Figures may be incorrectly allocated to different financial periods if this process is completed to a poor standard. This can create a multitude of problems for you and your business! Therefore, here’s a few quick points on how to do your month ends to the expected standard. From within the Nominal Ledger Menu select Period End Routines > Update Waiting Postings. This will ensure there are no held postings waiting to enter the nominal. Do this before closing any of the ledgers! Following this, Print or View the Deferred postings using the Period End Routines > View Waiting Postings option and make sure none of the transactions in deferred are included in the current period. SCREEN SHOWING DEFERRED POSTINGS AND WAITING POSTINGS SOURCED FROM ITAS GUIDE. Run this option and then run Period End Routines and Update Waiting Postings routine again. Go to Accounting System Manager > System Utilities > Balance Ledgers > Financials. Check the sales ledger balance agrees with the aged debtors list. If it doesn’t, go to Accounting System Manager > System Utilities > Balance Ledgers > Financials. Select sales ledger and then re-run the report. Check the nominal ledger balance for aged debtors and check any deferred postings for the aged debtors nominal. 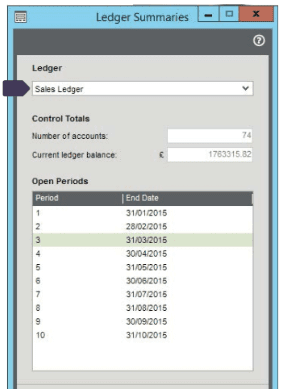 From the menu select Accounting System Manager > Accounting Periods > Maintain Accounting Periods. Highlight the “open” period you wish to close and click on “Change Period Status”. By default, most users have accounts set as Open item, so other than the top option to Archive Transactions which can be run at year end, these are not required. Select OK. This will transfer any “Deferred” Postings in the Nominal Ledger for the newly opened period to current postings. From within the Nominal Ledger Menu select Period End Routines > Update Waiting Postings. This will update any postings to the nominal ledger. Congratulations, the month end procedure is now complete! So there you have it, a few key pointers to assist you in preparing that month end before you go off on your next great adventure. Remember, tie up all those lose ends before you dive into festival fever, and have fun. For a full guide on preparing the month end, click here. Furthermore, if you need any assistance with creating your months end, we are always happy to help, so don’t hesitate to contact us.